There’s a post coming about what we did on M’s actual birthday, but I wanted to get her four year stats posted ASAP. 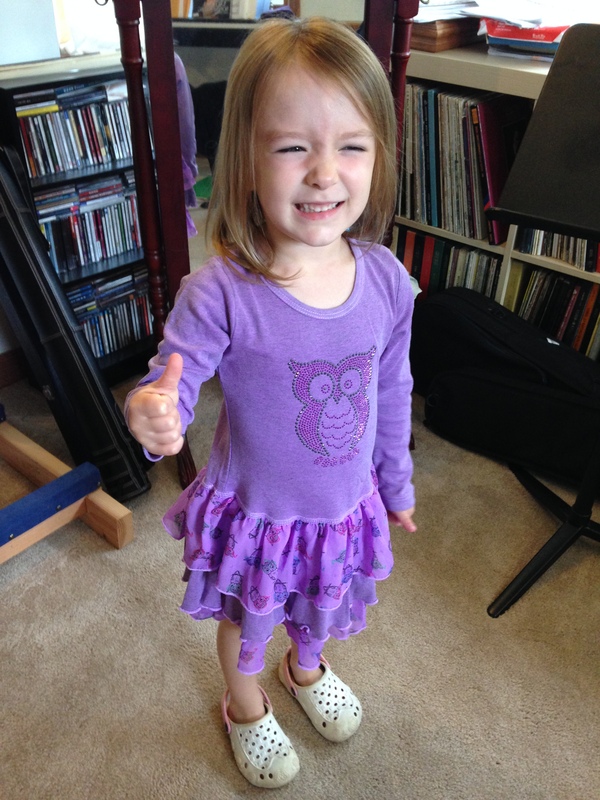 Here she is in an adorable dress from Uncle Michael and Aunt Kim in Florida. She loves purple and it was actually a little cool on the day this arrived (in August, I can’t even believe it?!) so she put it right on!